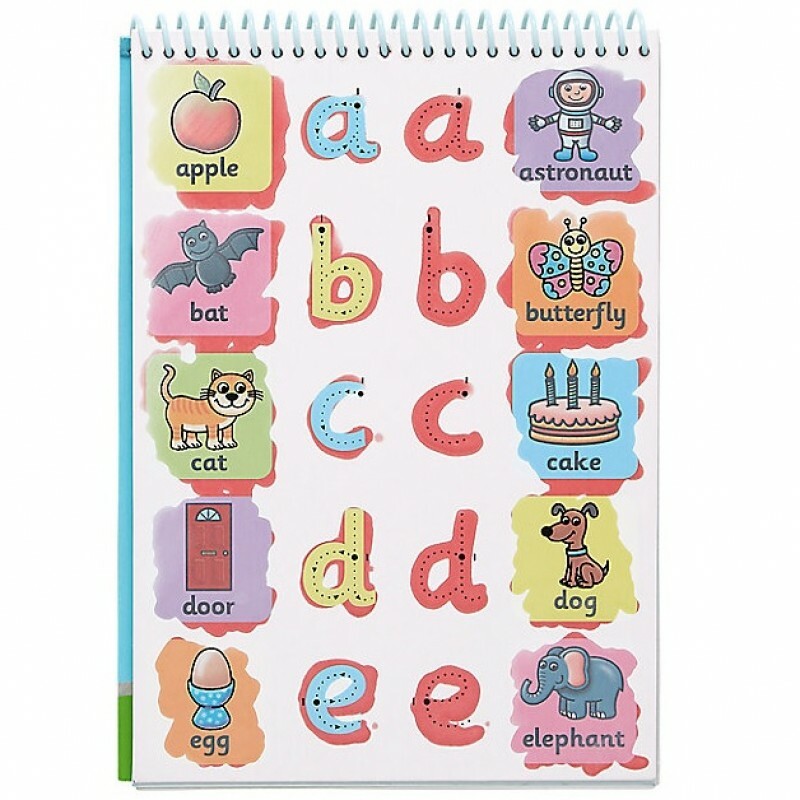 A fun way to develop writing skills and learn the alphabet with 6 reusable boards. 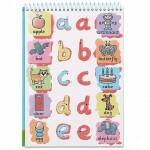 Use the magic water pen to form the letters of the alphabet following the dotted lines. 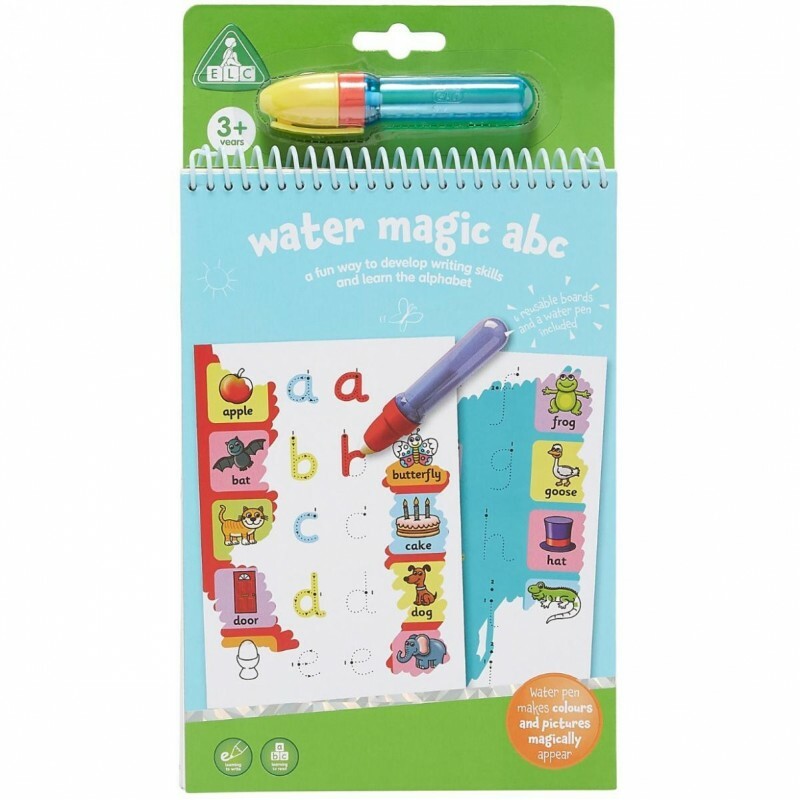 The letters, pictures and words will appear and later disappear so you can have learning fun over and over again!